Wisdom isn't shown by our "book learning," smart comments, or arrogance. 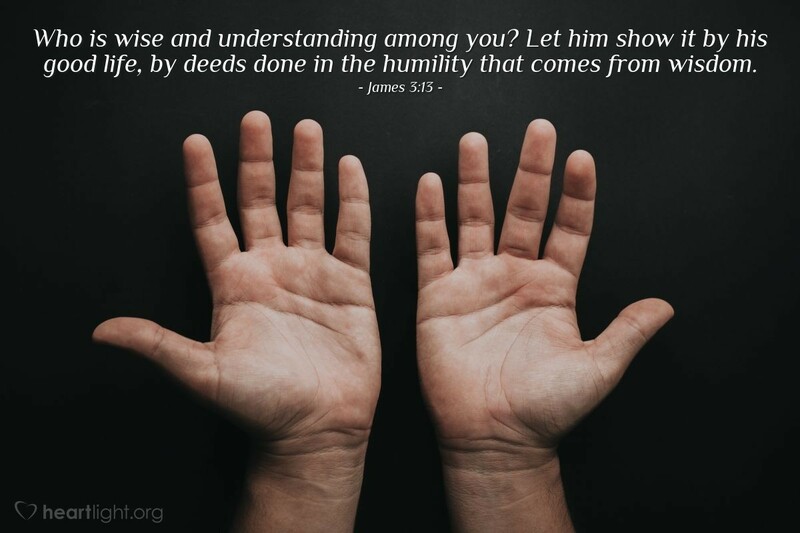 No, true wisdom is shown by the godly character of our life lived with humility and kind deeds. O Father, make me wise like Jesus. Please give me the ability to more fully know your will and more faithfully live it with kindness and humility. May the words of my mouth and the actions of my life please you and bring your grace to others. In Jesus' name. Amen.